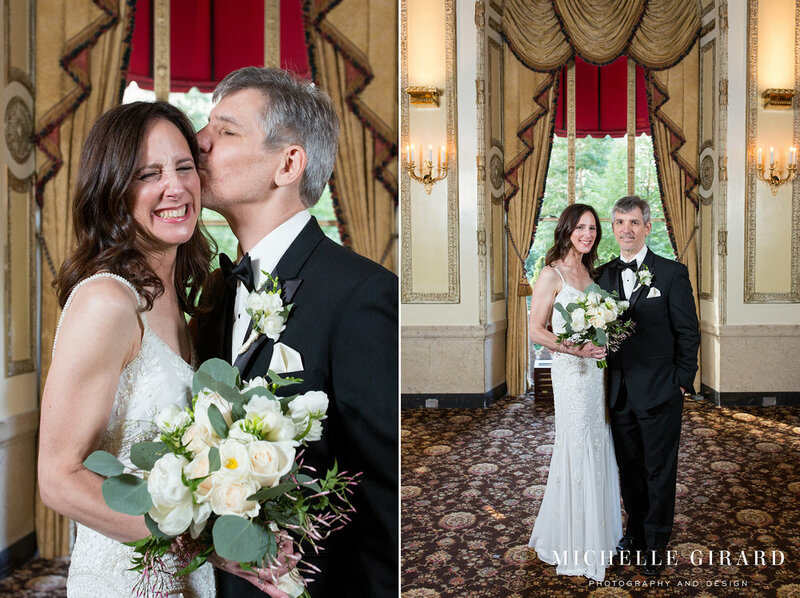 Jennifer and David incorporated so much of themselves and of their relationship into their wedding day. It was that perfect mix of fun and thoughtful, energetic and intimate. They embraced some tradition, like the beautiful golden bracelet that Jennifer wore for good luck (her mom even wore a matching one! ), while mixing in some really unique personal touches, like their tables being marked by centerpieces with large game board pieces (those are going to make for such cute decor later too!) and mini marriage themed games given out as favors. Their wedding was truly a celebration. There was so much love and laughter throughout the day. There was also so much dancing! These two have moves on the dance floor. 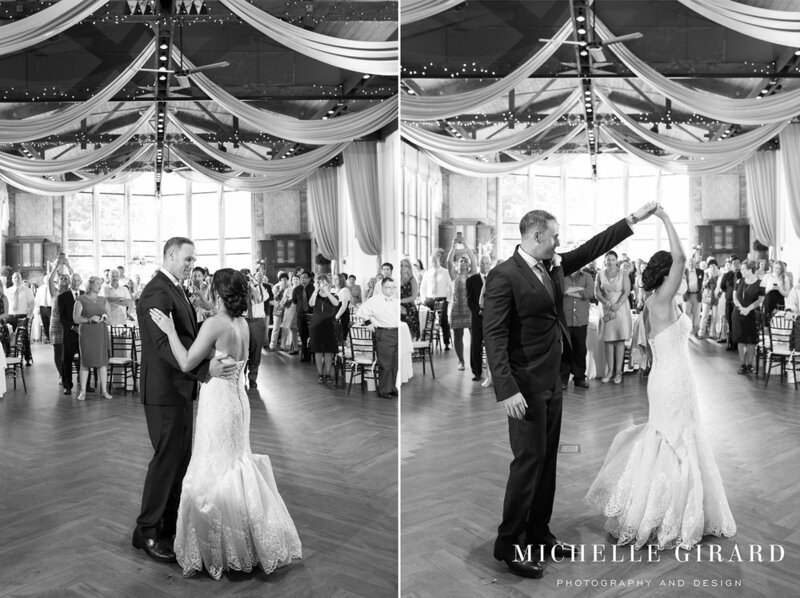 Especially notable was their choreographed first dance with dips, spins, and even some swing! And as the evening progressed I noticed that every time I turned around, these two were either dancing or laughing or hugging their friends and family. It was such a lively and beautiful day. You could not help but be smiling with them! Ashley stepped out of the Lace Factory and walked toward Brian, his back turned to the door. She tapped him on the shoulder and Brian turned to see her. His face just lit up seeing his bride. They hugged, one of those meaningful and lasting hugs, as they took in the moment together. The start of their wedding day. Afterward, they walked back into the Lace Factory together and were met with more hugs and excitement from their family and friends. Everyone was so ready to celebrate with them and the smiles didn't stop. 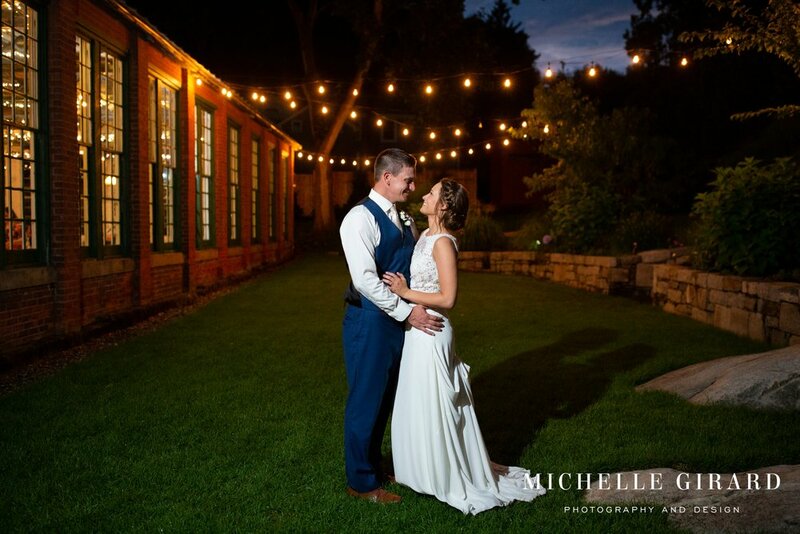 That energy carried on on from their first look to their wedding ceremony to the heartfelt toasts and on the packed dance floor all the way to the end of the night as their friends cheered for them with sparklers lit. All of it a testament to who these two are. Their connection and the love they give. It was a beautiful day for two beautiful people. 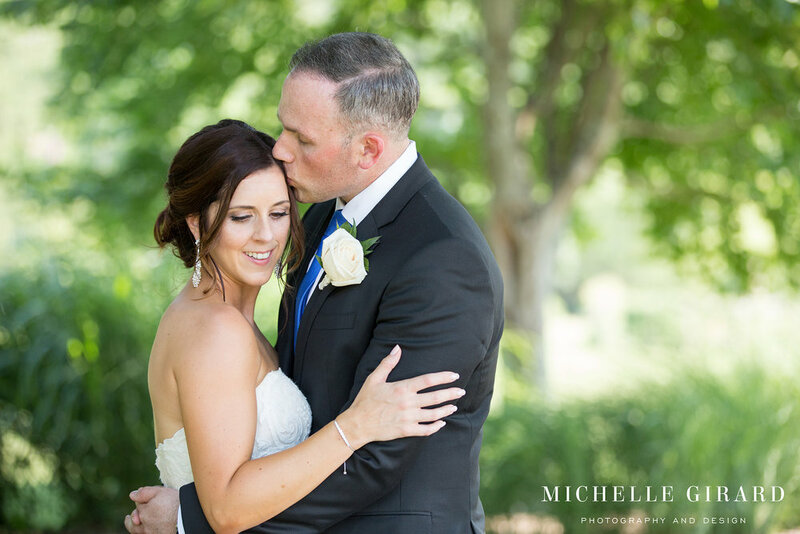 There were so many great moments and details at Laura and Doug's wedding on Saturday. 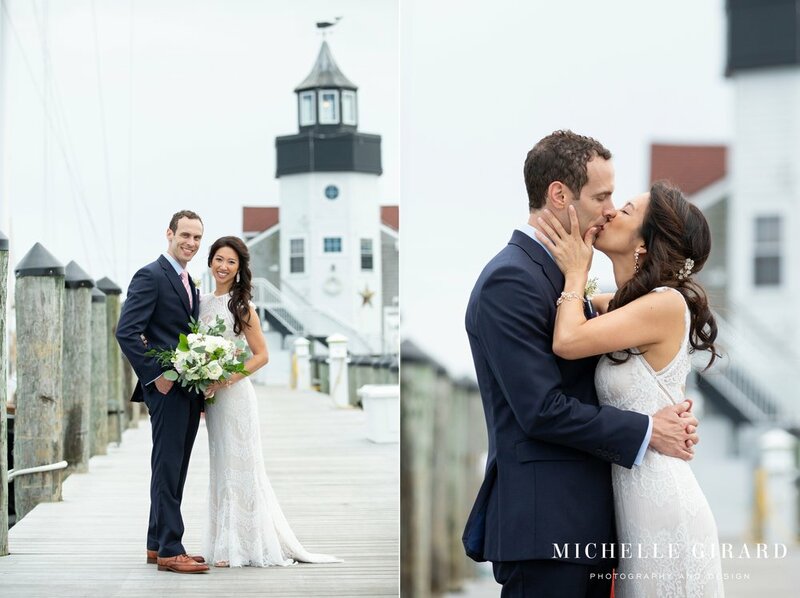 They chose the Langham Hotal for their wedding day for it's history and unique decor with high ornate ceilings, chandeliers, interesting currency-based wall art, and a ceremony in front of giant windows looking out onto a Boston park. 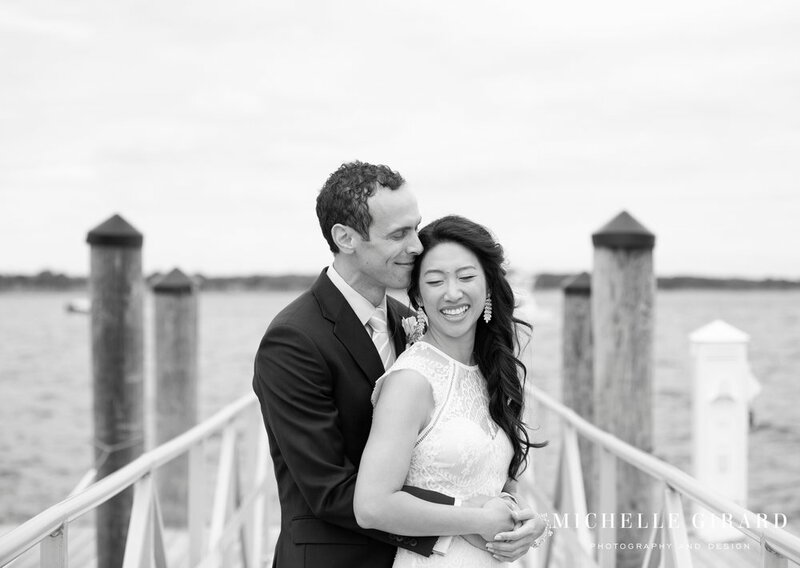 It was the perfect setting for a fun and intimate wedding celebration. 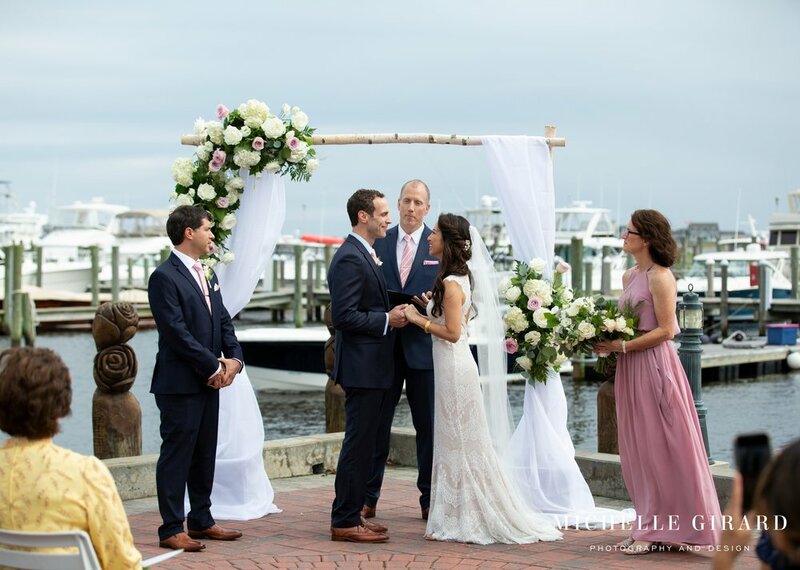 And with the scenery of Boston behind them, their wedding ceremony started with laughter and smiles as, prompted by their officiant, guests greeted each other and made new friends. Family members read meaningful excerpts about love and relationships, including one on how love is like a dog! 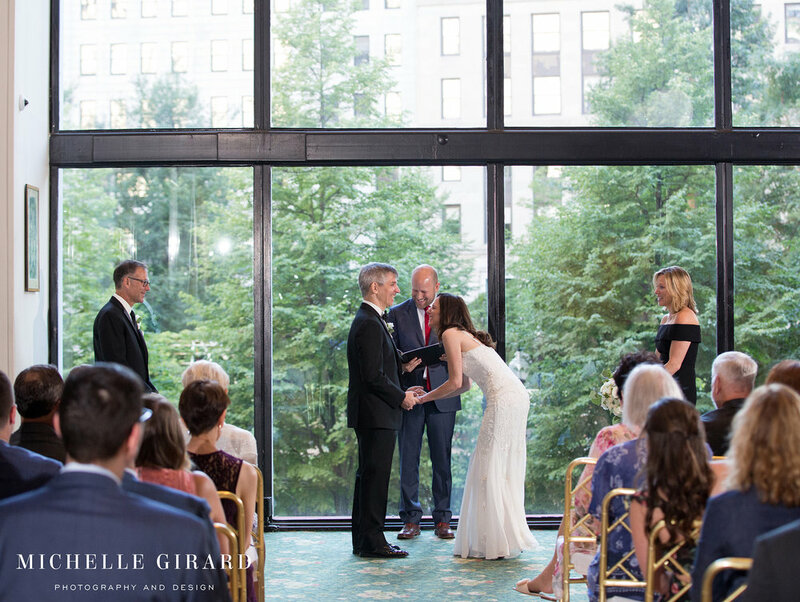 There were a few tears and an overwhelming feeling of love in the room as these two said their vows. And, as they walked back down the aisle together, everyone was clapping and just ready to celebrate!